Análisis del aprendizaje: una revisión sistemática de literatura. Palabras clave: análisis del aprendizaje, análisis del aprendizaje multimodal, intercambio de datos, aprender a aprender, aprendizaje permanente. La mayoría de algoritmos utilizados en el análisis de datos están diseñados de acuerdo con las capacidades de potencia y flexibilidad más que por su sencillez, y son demasiado complejos de utilizar en el contexto educativo. El objetivo de este trabajo es presentar una revisión de literatura sobre el análisis del aprendizaje en la educación superior: problemas, limitaciones, técnicas y herramientas empleadas. Se utilizó la metodología de la revisión sistemática de literatura para responder a tres preguntas de investigación tomando como base publicaciones científicas. Se concluye que se deben implementar, adaptar o desarrollar algoritmos predeterminados para el contexto educativo y, también, construir herramientas para el análisis de datos educacionales que cuenten con interfaces intuitivas y fáciles de utilizar. Aguiar, E., Chawla, N. V, Brockman, J., Ambrose, G. A., y Goodrich, V. (2014). Engagement vs performance: using electronic portfolios to predict first semester engineering student retention. In Proceedings of the Fourth International Conference on Learning Analytics And Knowledge (pp. 103–112). ACM. Asif, R., Merceron, A., y Pathan, M. K. (2015). Investigating performance of students: a longitudinal study. In Proceedings of the Fifth International Conference on Learning Analytics And Knowledge (pp. 108–112). ACM. Cambruzzi, W. L., Rigo, S. J., y Barbosa, J. L. V. (2015). Dropout Prediction and Reduction in Distance Education Courses with the Learning Analytics Multitrail Approach. J. UCS, 21(1), 23–47. Clow, D. (2014). Data wranglers: human interpreters to help close the feedback loop. In Proceedings of the Fourth International Conference on Learning Analytics and Knowledge (pp. 49–53). ACM. Corrigan, O., Smeaton, A. F., Glynn, M., y Smyth, S. (2015). Using Educational Analytics to Improve Test Performance. In Design for Teaching and Learning in a Networked World (pp. 42–55). Springer. Diebold, F. (2001). Elements of forecasting. (South y W. C. Publishing., Eds.) (2nd ed.). Australia. Friedman, V. (2008). Data visualization and infographics. Graphics, Monday Inspiration, 14, 2008. Gasevic, D., Kovanovic, V., Joksimovic, S., y Siemens, G. (2014). Where is research on massive open online courses headed? A data analysis of the MOOC Research Initiative. The International Review of Research in Open and Distributed Learning, 15(5). Gibson, A., Kitto, K., y Willis, J. (2014). A cognitive processing framework for learning analytics. In Proceedings of the Fourth International Conference on Learning Analytics And Knowledge (pp. 212–216). ACM. Grann, J., y Bushway, D. (2014). Competency map: Visualizing student learning to promote student success. In Proceedings of the fourth international conference on learning analytics and knowledge (pp. 168–172). ACM. Grau-Valldosera, J., y Minguillón, J. (2011). Redefining dropping out in online higher education: a case study from the UOC. In Proceedings of the 1st International Conference on Learning Analytics and Knowledge (pp. 75–80). ACM. Harrison, S., Villano, R., Lynch, G., y Chen, G. (2015). Likelihood analysis of student enrollment outcomes using learning environment variables: A case study approach. In Proceedings of the Fifth International Conference on Learning Analytics And Knowledge (pp. 141–145). ACM. Hecking, T., Ziebarth, S., y Hoppe, H. U. (2014). Analysis of dynamic resource access patterns in a blended learning course. In Proceedings of the Fourth International Conference on Learning Analytics and Knowledge (pp. 173–182). ACM. Holman, C., Aguilar, S., y Fishman, B. (2013). GradeCraft: What can we learn from a gameinspired learning management system? In Proceedings of the Third International Conference on Learning Analytics and Knowledge (pp. 260–264). ACM. Khousa, E. A., y Atif, Y. (2014). A Learning Analytics Approach to Career Readiness Development in Higher Education. In International Conference on Web-Based Learning (pp. 133–141). Springer. Khousa, E. A., Atif, Y., y Masud, M. M. (2015). A social learning analytics approach to cognitive apprenticeship. Smart Learning Environments, 2(1), 14. Kim, J., Jo, I.-H., y Park, Y. (2016). Effects of learning analytics dashboard: analyzing the relations among dashboard utilization, satisfaction, and learning achievement. Asia Pacific Education Review, 17(1), 13–24. Kitchenham, B. A., y Charters, S. (2007). Procedures for Performing Systematic Literature Reviews in Software Engineering. Keele University y Durham University, UK. Kovanović, V., Gašević, D., Dawson, S., Joksimović, S., Baker, R. S., y Hatala, M. (2015). Penetrating the black box of time-on-task estimation. In Proceedings of the Fifth International Conference on Learning Analytics And Knowledge (pp. 184–193). ACM. Lockyer, L., y Dawson, S. (2011). Learning designs and learning analytics. In Proceedings of the 1st international conference on learning analytics and knowledge (pp. 153–156). ACM. Lotsari, E., Verykios, V. S., Panagiotakopoulos, C., y Kalles, D. (2014). A learning analytics methodology for student profiling. In Hellenic Conference on Artificial Intelligence (pp. 300–312). Springer. Manso-Vázquez, M., y Llamas-Nistal, M. (2015). A Monitoring System to Ease Self-Regulated Learning Processes. 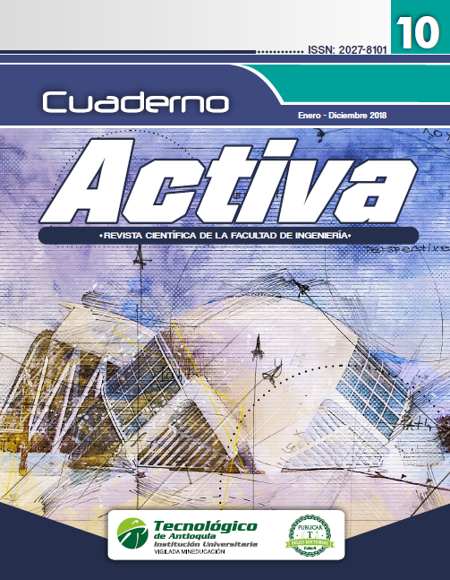 IEEE Revista Iberoamericana de Tecnologias Del Aprendizaje, 10(2), 52–59. Mayor, E. (2015). Learning Predictive Analytics with R. McKay, T., Miller, K., y Tritz, J. (2012). What to do with actionable intelligence: E 2 Coach as an intervention engine. In Proceedings of the 2nd International Conference on Learning Analytics and Knowledge (pp. 88–91). ACM. Menchaca, I., Guenaga, M., y Solabarrieta, J. (2015). Project-Based Learning: Methodology and Assessment Learning Technologies and Assessment Criteria. In Design for Teaching and Learning in a Networked World (pp. 601–604). Springer. Nespereira, C. G., Elhariri, E., El-Bendary, N., Vilas, A. F., y Redondo, R. P. D. (2016). Machine Learning Based Classification Approach for Predicting Students Performance in Blended Learning. In The 1st International Conference on Advanced Intelligent System and Informatics (AISI2015), November 28-30, 2015, Beni Suef, Egypt (pp. 47–56). Springer. Øhrstrøm, P., Sandborg-Petersen, U., Thorvaldsen, S., y Ploug, T. (2013). Teaching logic through web-based and gamified quizzing of formal arguments. In European Conference on Technology Enhanced Learning (pp. 410–423). Springer. Pardo, A., Mirriahi, N., Dawson, S., Zhao, Y., Zhao, A., y Gašević, D. (2015). Identifying learning strategies associated with active use of video annotation software. In Proceedings of the Fifth International Conference on Learning Analytics And Knowledge (pp. 255–259). ACM. Peña, A. (2017). Learning Analytics : Fundaments , Applications , and A View of the Current State of the Art to (94th ed.). Mexico DF: Springer Berlin Heidelberg. Piety, P. J., Hickey, D. T., y Bishop, M. J. (2014). Educational data sciences: framing emergent practices for analytics of learning, organizations, and systems. In Proceedings of the Fourth International Conference on Learning Analytics and Knowledge (pp. 193–202). ACM. and Knowledge (pp. 130–133). ACM. Scheffel, M., Niemann, K., Leony, D., Pardo, A., Schmitz, H.-C., Wolpers, M., y Kloos, C. D. (2012). Key action extraction for learning analytics. In European Conference on Technology Enhanced Learning (pp. 320–333). Springer. Simsek, D., Sándor, Á., Shum, S. B., Ferguson, R., De Liddo, A., y Whitelock, D. (2015). Correlations between automated rhetorical analysis and tutors’ grades on student essays. In Proceedings of the Fifth International Conference on Learning Analytics And Knowledge (pp. 355–359). ACM. Sinclair, J., y Kalvala, S. (2015). Engagement measures in massive open online courses. In International Workshop on Learning Technology for Education in Cloud (pp. 3–15). Springer. Swenson, J. (2014). Establishing an ethical literacy for learning analytics. In Proceedings of the Fourth International Conference on Learning Analytics And Knowledge (pp. 246–250). ACM. Tervakari, A.-M., Marttila, J., Kailanto, M., Huhtamäki, J., Koro, J., y Silius, K. (2013). Developing learning analytics for TUT circle. In Open and Social Technologies for Networked Learning (pp. 101–110). Springer. Vahdat, M., Oneto, L., Anguita, D., Funk, M., y Rauterberg, M. (2015). A learning analytics approach to correlate the academic achievements of students with interaction data from an educational simulator. In Design for Teaching and Learning in a Networked World (pp. 352–366). Springer. Vozniuk, A., Holzer, A., y Gillet, D. (2014). Peer assessment based on ratings in a social media course. In Proceedings of the Fourth International Conference on Learning Analytics And Knowledge (pp. 133–137). ACM. Westera, W., Nadolski, R., y Hummel, H. (2013). Learning analytics in serious gaming: uncovering the hidden treasury of game log files. In International Conference on Games and Learning Alliance (pp. 41–52). Springer. Wise, A. F. (2014). Designing pedagogical interventions to support student use of learning analytics. In Proceedings of the Fourth International Conference on Learning Analytics And Knowledge (pp. 203–211). ACM.